Make your office complete with an officially licensed Texas Longhorns Head Coach Office Chair! 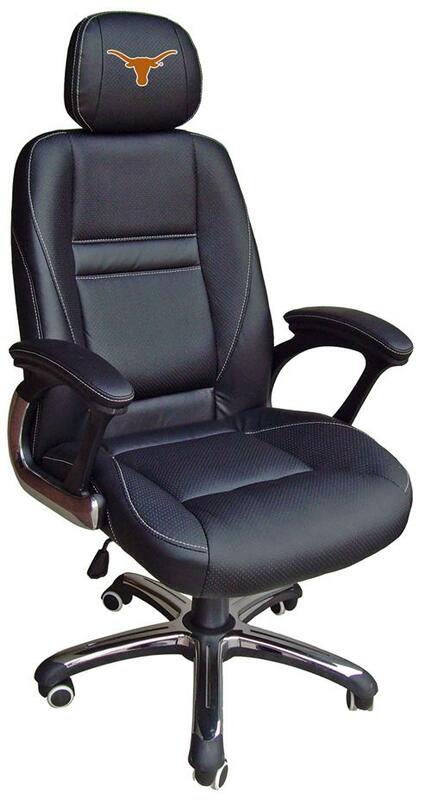 This ergonomic chair features high grain leather, contoured lumbar support, extra padded seat for maximum comfort, tilt tension adjustment and single lever height control with locking mechanism. The Longhorns logo on the headrest makes this chair a must have for any fan, student, or alumni!